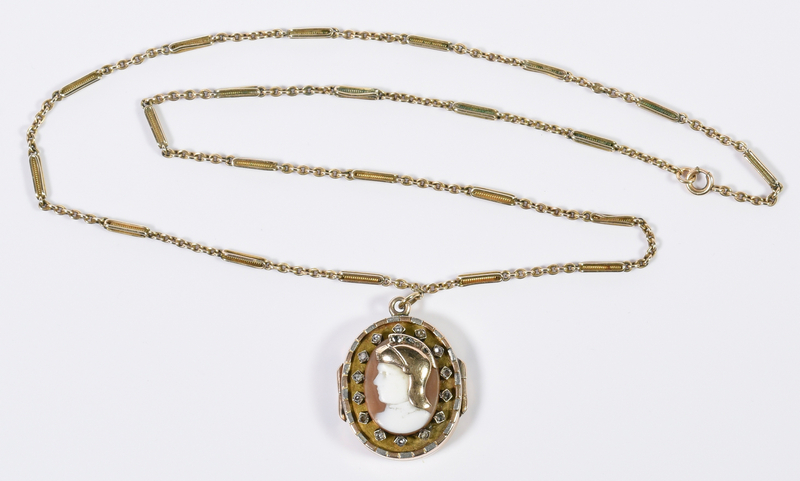 14K (tested) Tri-color gold cameo and rose cut diamond locket, rose, yellow and green gold. 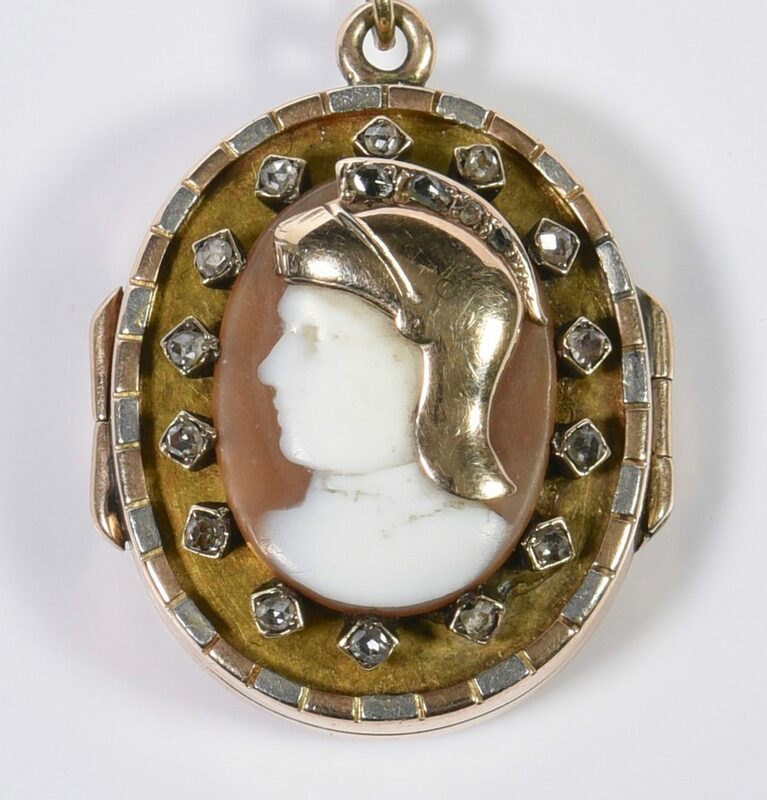 Shell bust of gold helmeted Roman soldier with rose cut diamonds set in helmet and with rose cut diamonds bezel set around cameo. 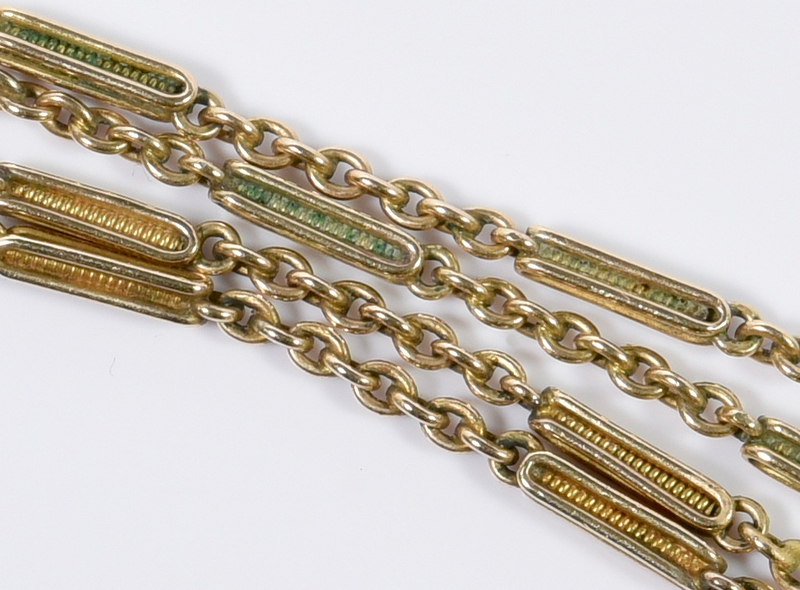 Interlocking green and yellow gold initials "CD" on reverse. 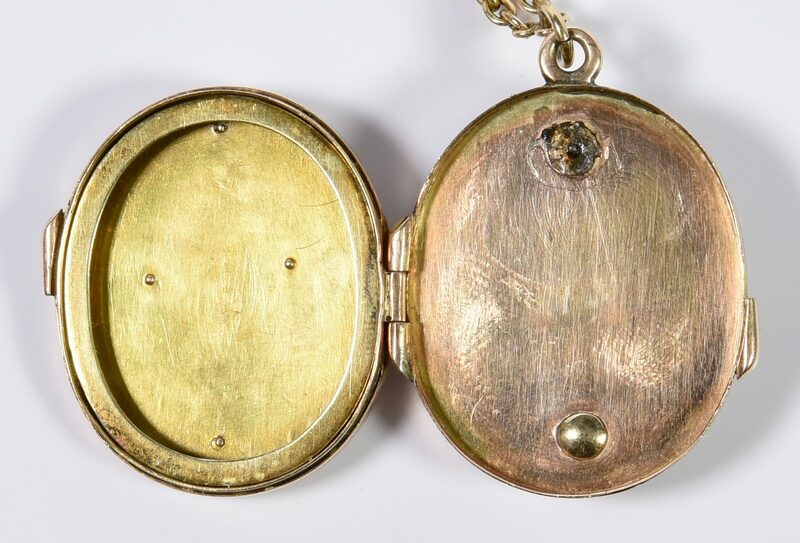 Interior with removable yellow gold bezel. 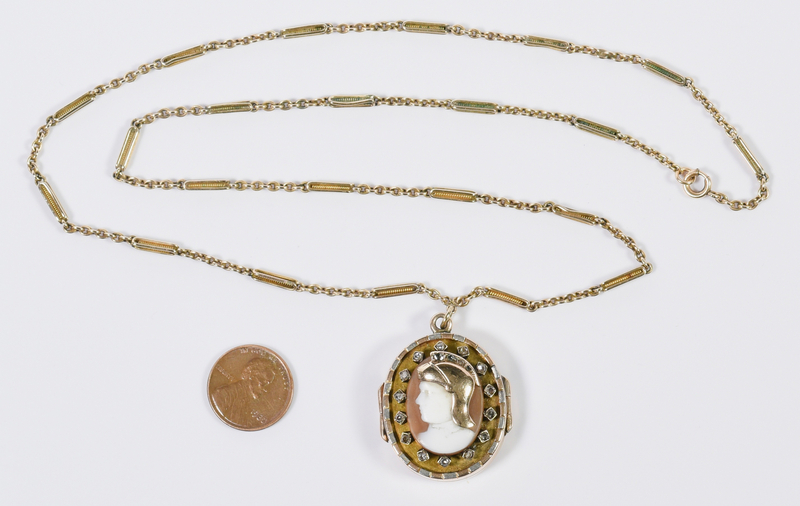 1 5/16" L x 1" W x 3/8" D (including cameo) on gold-plated 24" L chain. 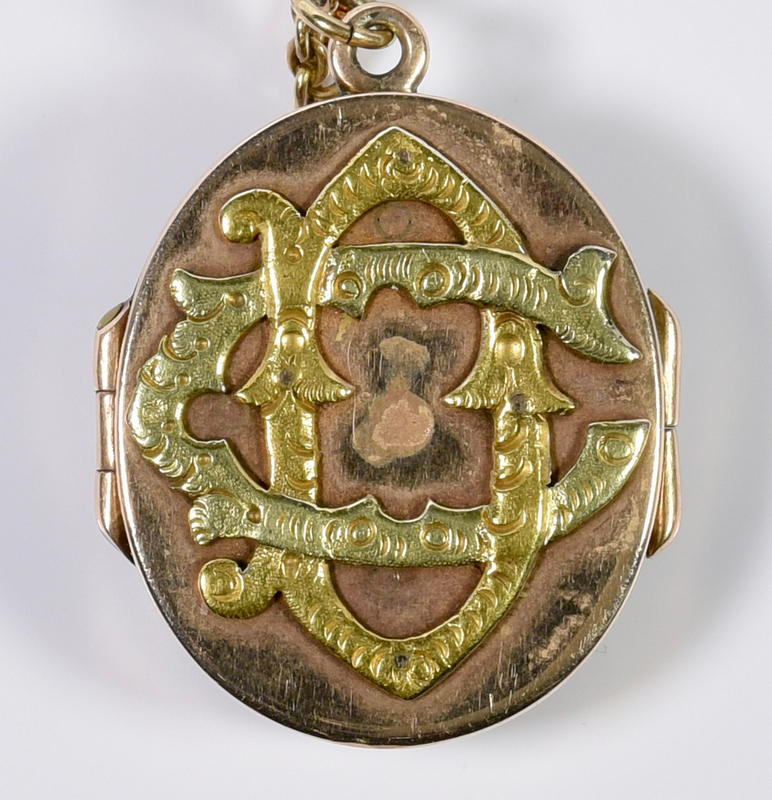 Locket weighs approximately 22.2 grams. CONDITION: Overall good condition with scattered surface scratches and wear to cameo image.